For most of the western world, Japan conjures up images of an exotic, mysterious culture which is different to our own in almost every way. From teahouses to Geishas, Buddhism to blossom-viewing, there are many wondrous delights to be explored in Japan that simply cannot be found anywhere closer to home. Newmarket Holidays provide great value escorted air holidays which take in some of the more famous sights and sounds as well as several hidden wonders. Newmarket Holidays trip to Japan begins with an overnight flight to Osaka, in the Kansai region of the main island of Honshu. Historically the commercial centre of Japan, Osaka is home to the headquarters of some of the world’s best known electronics brands such as Sharp and Panasonic, and contains some of the largest shopping districts in the world. Here, travellers will meet their tour guide and transfer to Kyoto for a three-night stay in the old Imperial capital. Many of the delights of Kyoto are explored over the coming days, including guided trips to view the bustling Nishiki market and Nijo Castle, a stronghold of the first Tokugowa shogun, which has been in existence since the 17th century. Evenings in Kyoto are free, leaving the traveller to explore some of the more hidden delights such as Gion, the famous geisha district. Here, visitors can attend a tea ceremony or spend an evening in one of the many ochaya experiencing the geisha culture first-hand. 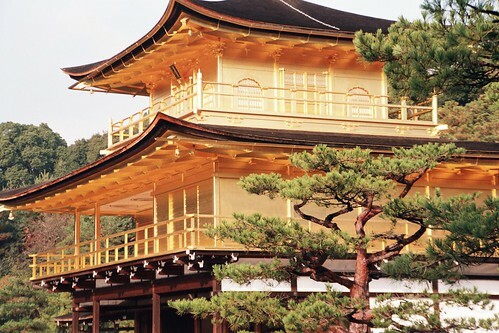 Visiting Kyoto is followed by a night in the nearby city of Kanazawa, home to the magnificent Kenroku-en Gardens and the Samurai House at Nagamachi. After this travellers are taken on a two-day tour, encompassing traditional Japanese villages and an exploration of the Japanese Alps, with a visit to Owakudani Valley of hot springs and an overnight stay in the Hakone National Park. A trip on the renowned Shinkansen bullet train culminates in a three-day stay in the nation’s capital, Tokyo, which includes guided tours of the ancient Buddhist Asakusa Temple and the shopping districts of Nakamise, Ueno, Akihabara and Ginza, Tokyo’s ‘Fifth Avenue’. The final day takes in the Meiji park and shrine and the world-famous Shibuya Crossing, before transfers back to the airport and an overnight flight home.